I have to admit to being somewhat disappointed when I arrived at the site of the former MR Central Goods Station. As a child I remember the deserted site with an array of remaining platforms, loading ramps etc . . .however, I appear to have been a couple of years too late to see any of the remains when I revisited the site. Furthermore, information on the station is scant at best - other than, for those of you interested, Midland Record No.17 which carries some 30-odd pages on the history of the station and is well worth a read - possibly due to the research prediliction for passenger stations (perhaps they were deemed more aesthetically pleasing). 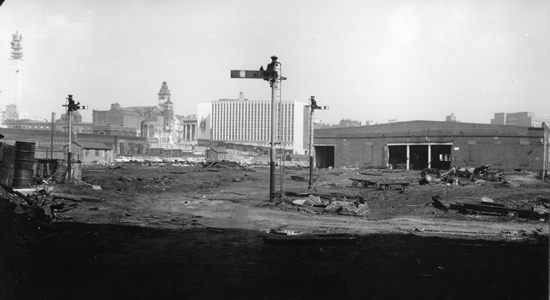 Fortunately, Roger Shenton captured Central Goods during site clearance in 1968 and above we see the remains of the site from the mouth of the tunnel connecting it with what is now the Cross City line south of New Street. The station opened in 1887 and closed in 1967 following the radical shake-up of goods traffic services in the post-Beeching era. 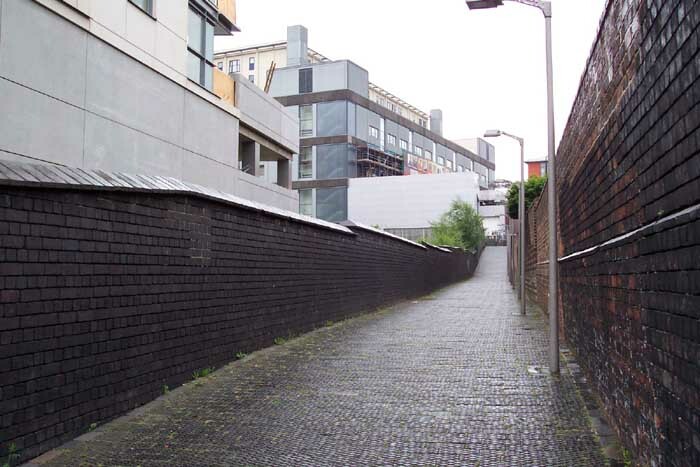 Above-left we see the Cross-City line cutting to New Street from Holliday Passage today: Central Goods occupied the land to the right. 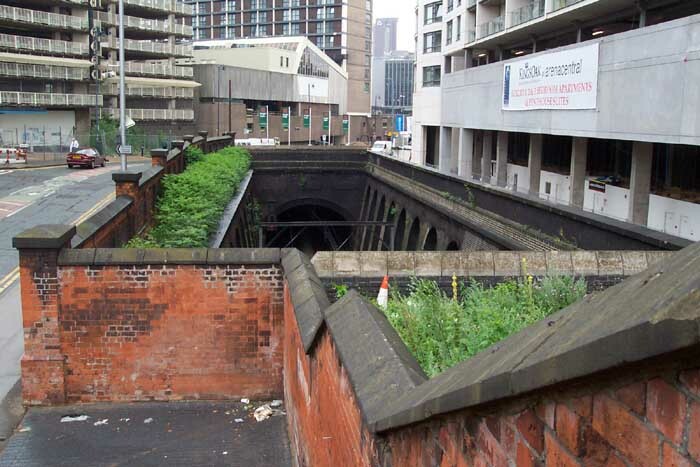 The station was fed by a high level line running parallel to Five Ways Station which entered a tunnel emerging the other side of the left-hand wall in the picture we see above-right off Holliday Passage. 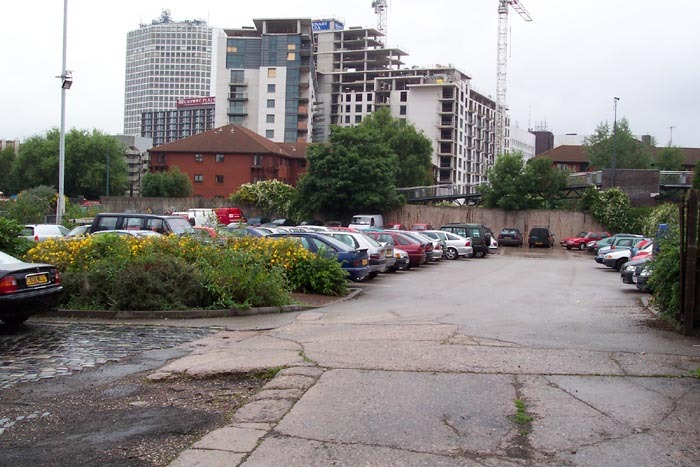 Above-left we can see the sprawling new development taking shape on the site of the old station. 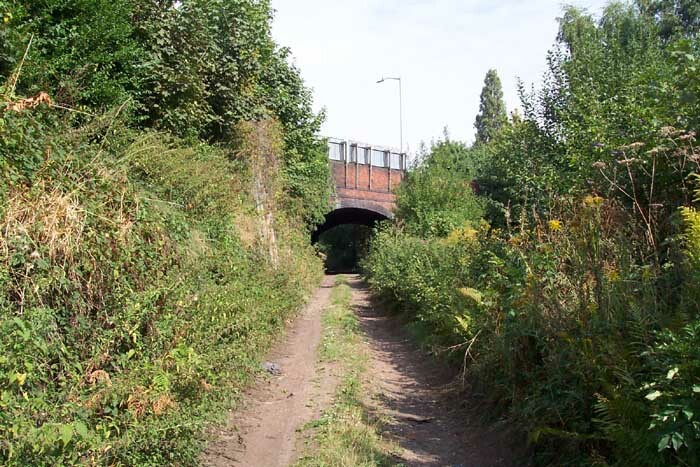 Above-right we are on the trackbed of the line to Central Goods looking towards the site of the long-defunct Granville Street station which was cleared when the West Suburban Railway completed its link to New Street Station and it was decided to extend the line from Five Ways station to a new goods station. 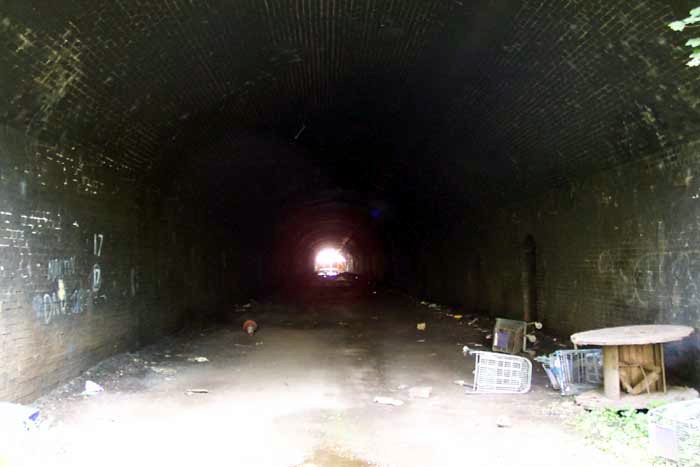 Above we are still on the trackbed but this time at the mouth of the tunnel which leads from the site of Granville Street station to the site of Central Goods - a civil engineering feat that was sited as being proibitively expensive when proposed with regard to extending the line from Granville Street (then the West Suburban line's terminus) to New Street station, only to emerge as a viable option one year after closure of the stretch of track from Five Ways to Granville street!